We hear a lot in the news about the “green revolution” and “going green”, but let’s be honest: not everyone is truly putting their money into the technology. In order for something to catch on for everyone, there has to be investments made by people that have the pocketbooks to do so, and that’s ultimately the companies that bring us these products and services in the first place. But we did find that there are some companies that are really expanding hybrid technology, and we’re pleased to hear about it. When it comes to hybrid and electric technologies, Nissan is definitely leading the charge. They’ve even teamed up with Foster + Partners recently to expand on the connected car concept further, adding style and ergonomic comfort to the mix. After all, you can’t just focus on function. The cars of the future need to be comfortable, otherwise we’re not going to bother driving them. You might recall that this automaker came out with the Nissan LEAF, a revolutionary car for its launch time. If luxury and performance are more your speed, you’ll be pleased to know that BMW is really taking the reins and making hybrid technology a priority. Their flagship hybrid right now is the ActiveHybrid 5, which can go from 0 – 100 km in 5.9 seconds. That’s very fast acceleration, making it a treat to drive any day of the week. Adoption of hybrid technology isn’t limited to just the automakers, of course. Niftylift is a company devoted to bringing hybrid technology to its products, which focus on cherry pickers and boom lifts. Manufacturing these industrial products has to strike a balance between safety, functionality, and environmental awareness. We think that heavy industry is the perfect place to promote green solutions, because if other companies adopt them, then the fight gets a little easier and more people embrace the technology. Another interesting feature that Niftylift is bringing to the table would have to be the way they address the subject of weight in industrial equipment. Anyone that’s had to order equipment for a commercial project knows that weight changes everything from how high up you can place something to how much fuel it will consume to operate. The heavier a piece of equipment is, the more it will cost to service it over its lifetime. Niftylift developed a hybrid lift with a truly super low weight design, focusing on maintaining a bridge between power, efficiency, and reduced weight. Where others may have simply removed power to compensate for the reduced weight, the development team went in a completely different direction — well done! General Motors doesn’t get nearly the credit it deserves for jumping into the hybrid technology space as quickly as it did, but we remember! They’ve taken a lot of customer feedback into consideration to improve on the Chevy Volt, and the Malibu is a decent option for people looking for their first hybrid. 47 mpg is going to catch a lot of people’s attention for sure. 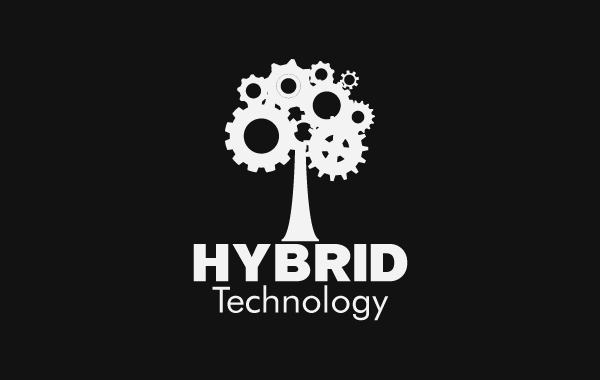 Overall, if you want to watch the hybrid technology space, these are the companies to check out. While you may have to save up to get a hybrid in your driveway, there are plenty of incentives in place to reward you for doing your part to protect the environment we all share. Driverless tractors? Maybe we’re not quite there yet (other than prototypes), but there is a hot technology that might change agriculture forever. It’s produced by Autonomous Tractor Corp, where they basically offer a package that turns a traditional diesel tractor into a hybrid that combines the best of both worlds. Instead of having to get a brand new tractor, farmers would be able to enjoy a massive cost savings as well as a boost in productivity. Agriculture is one industry where every bit of cost savings matters; a bad storm season can dramatically reduce crop yields and increase overhead without the market being able to correct the issues until much, much later.